When I cook, I don't pick out a recipe and then go buy the ingredients. Instead, I buy food at the grocery store at rock-bottom prices by combining store sales with coupons. Then, when it's time to cook, I check the stockpile to see what we have and make meals from that. Voila, no emergency trips to the store. My eight-year-old daughter hasn't learned that lesson yet. She'd rather look through cookbooks and pick out recipe to try, and then she asks me to buy the ingredients. 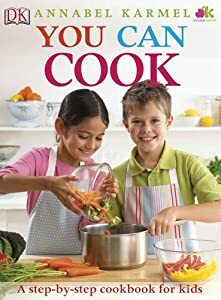 Last week, she was looking through one of her library books, You Can Cook by Annabel Karmel. She asked if we could make the Sticky Chicken Drumsticks recipe from the book. I checked the recipe to see if we had the ingredients in the stockpile. Soy sauce? Check. Honey? Check. Balsamic vinegar? Check. Garlic and ginger? Check. 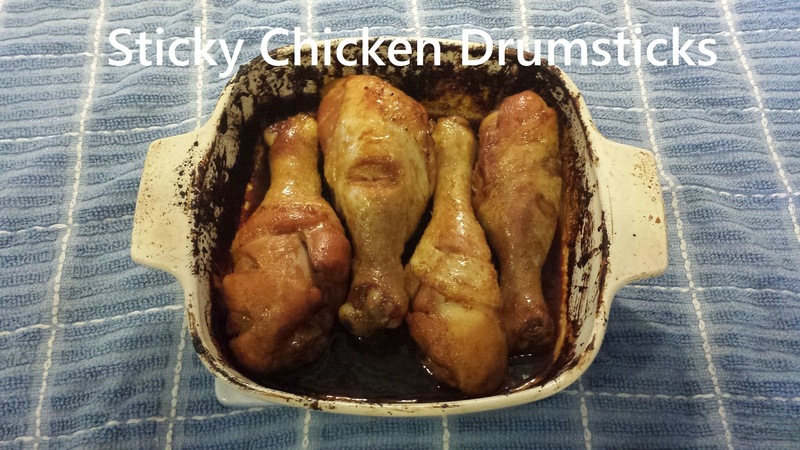 Chicken drumsticks? Well, no. But we were out of chicken anyway, so I stopped by the kosher supermarket and picked up a family pack of drumsticks. So we made the recipe, and it came out delicious! In a small bowl, combine the vinegar, soy sauce, honey, garlic, and ginger. Stir until well blended. 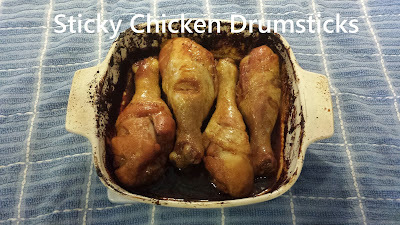 In a small baking dish, place the 4 drumsticks. Slash each drumstick several times with a sharp knife. pour the marinade over the chicken. Refrigerate for 20 minutes. Preheat the oven to 400 degrees. Bake the chicken in the marinade for 45 minutes, turning and basting the drumsticks every 10 minutes.